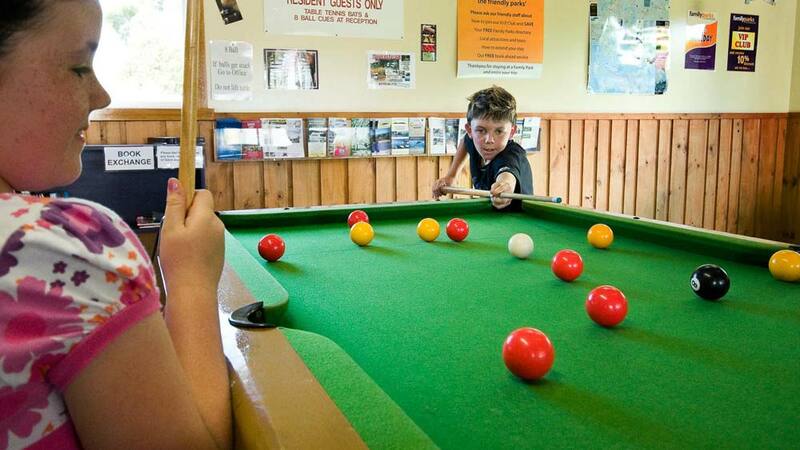 Leisure Ville offers a range of activities to keep you and your family occupied no matter the weather, this makes us one of the best family accommodation venues in Tasmania. Leisure Ville has a wonderfully warm indoor pool and spa, a games room, half court tennis with a basketball area, playground, bbq’s, and a laundry. 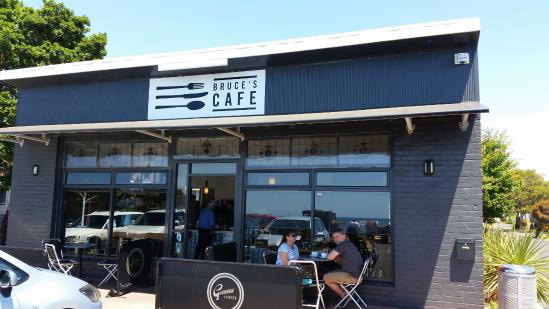 We are also proud to have Bruce’s Café at the entrance to our park. 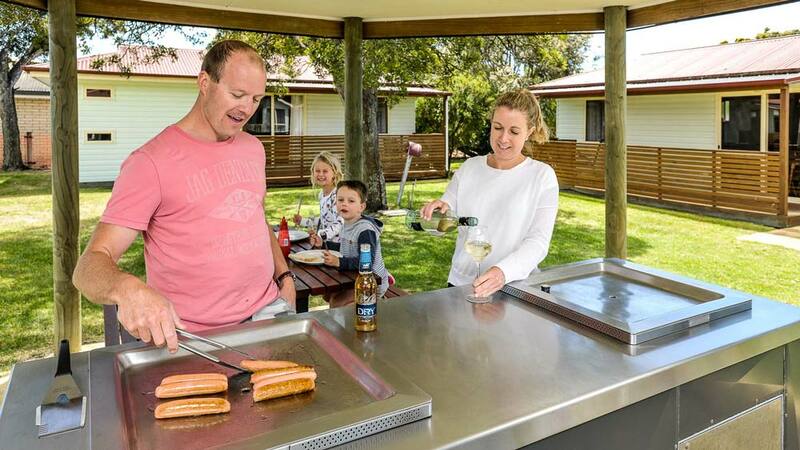 Leisure Ville Holiday Centre provides guests with a selection of 3 undercover electric bbq’s as well as one portable gas bbq. The barbecues are situated both next to the swimming pool building as well as in the Villa area. They are all free of charge. For your convenience, tongs, spatulas and paper towel are available from reception. 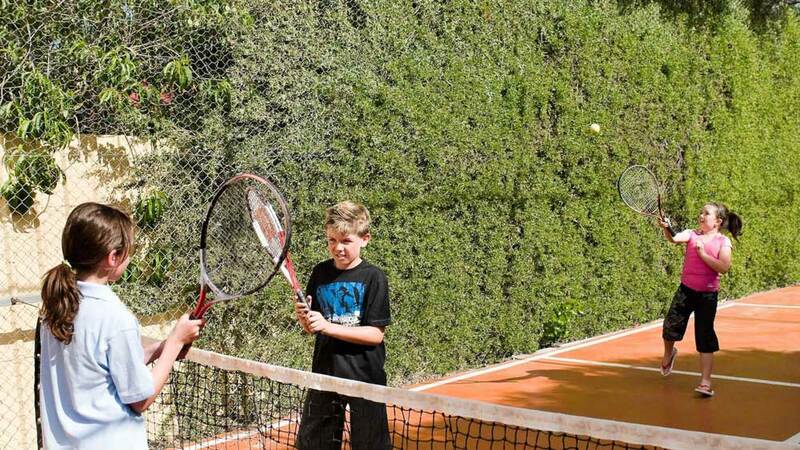 The enclosed half court tennis area allows the family to spend many hours enjoying a game of tennis. All racquets and balls are supplied free of charge and are available in reception for your convenience. The tennis area also features a basketball backboard with full size markings for you to practice your shots. 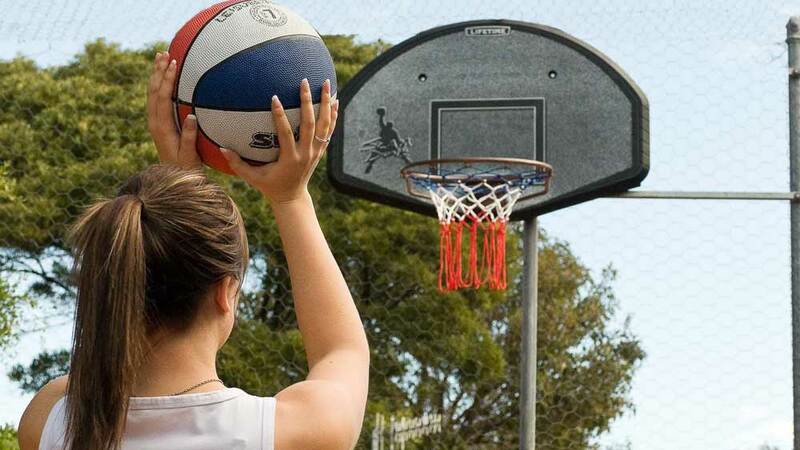 A basketball is supplied in reception. 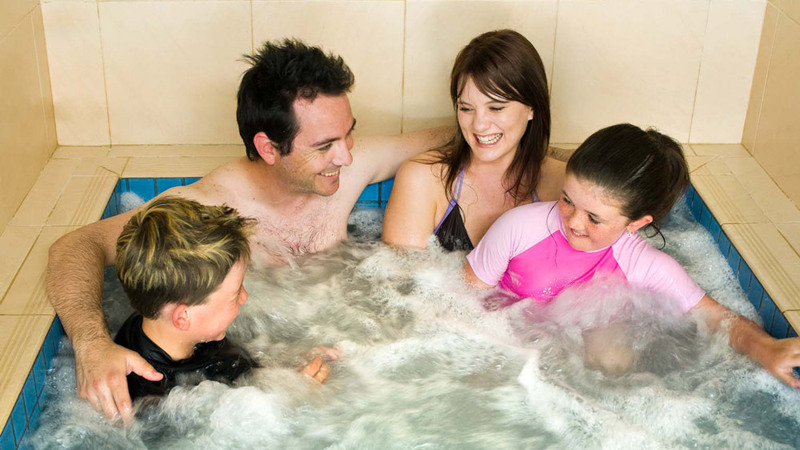 The indoor heated pool has been designed with the family in mind. It is 9m in length and 6m in width and is open all year round. 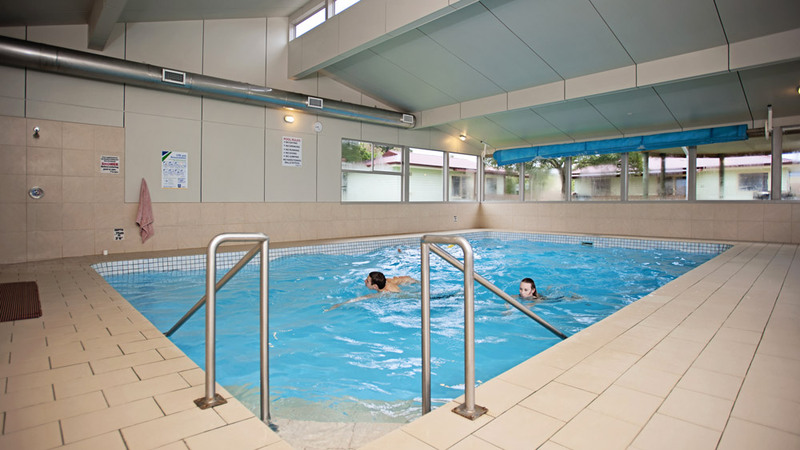 Leisure Ville’s pool is ideally suited for adults and children with the depth varying from .75m to 1.5m (2.5 to 5 ft). The pool is surrounded by a tiled decking, has male and female change rooms, a toilet and a shower for your convenience. The warm and relaxing spa is in the same building right alongside the pool. It is perfect for easing those tired and weary muscles after a busy day. Heated to 37oC, the spa has 5 jets and an air blower to stir up those soothing bubbles, it comfortably seats up to four people. For those staying in our Cabins and Villas pool towels are available from our reception. 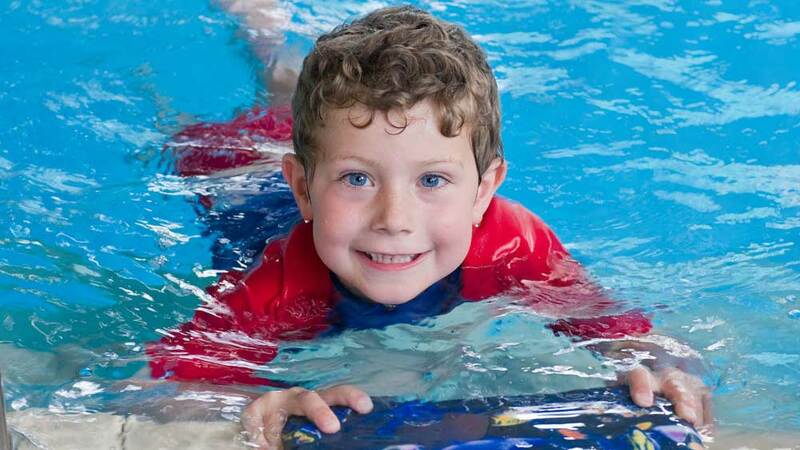 Please observe our pool rules at all times as they are there for your safety. 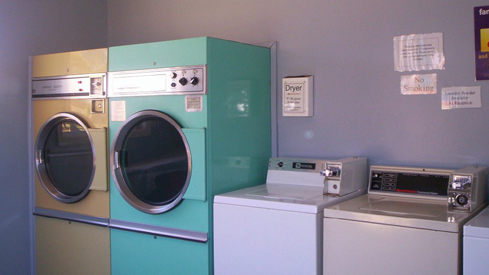 A communal laundry with 3 coin operated washing machines and 2 large gas dryers is available for all guests to use. Those staying in the Villas have their own washing machines. Clothes lines are situated around the park and a limited number of pegs are available. Change and washing detergent is available at reception. The enclosed playground area is at the front of the park and backs on to Bruce’s Café. 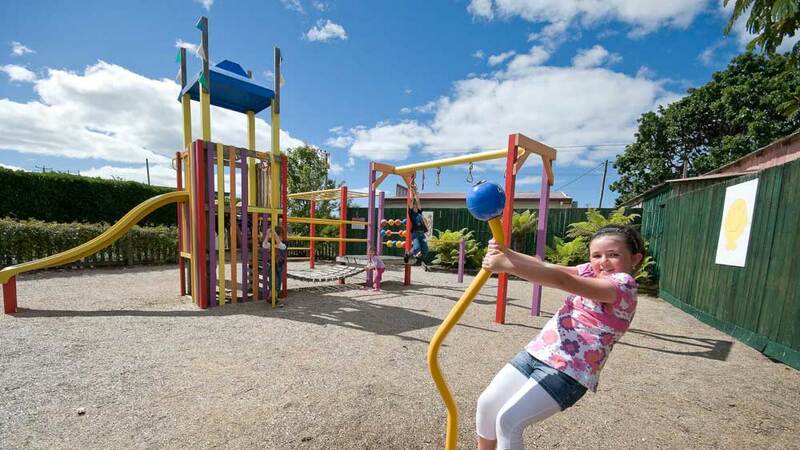 Leisure Ville is very family oriented and the playground features 2 slides, monkey bars, fireman’s pole, swinging grips, a spinna and a spring rider all for your children’s pleasure. The playground area has a cover of chip mill fines for the children’s safety. For the older kids the 2km long beach across the road is a great area to explore or have a game of cricket, and the Seabrook Golf Course is only 300m away. There is also a tic-tac-toe game near the Bbq’s and a set of swings located in the Villa area. Leisure Ville’s recreation room is suitable for all the family. 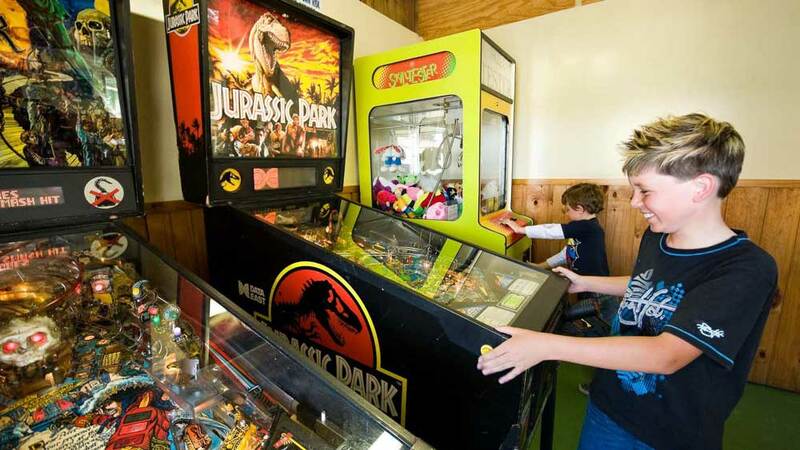 Featuring an 8-ball table, pinball machine, arcade games (including an original Pac Man), and a free table tennis table, the recreation room will keep the entire family occupied. The recreation room also has a book exchange, a tv, and a comfy sofa, and it’s a great spot to connect to the free wifi available in the park.